Beautiful Rocklin single story home in a quiet location in Sunset West's Rock Creek neighborhood. Enter the home through a separate living/dining room that passes through to a large open concept kitchen/family room at the back of the house, complete with dining bar and space for a breakfast nook. Master bedroom at rear of home with a walk-in closet and separate tub/shower. Located on a large corner lot with a private backyard, complete with a stone-epoxy (pebble finish) solar heated pool, rock waterfall, and built in BBQ. Xeriscape front yard on drip for easy maintenance. Additional upgrades include indoor/outdoor built in speakers, whole house fan, patio cover with misters, and more. 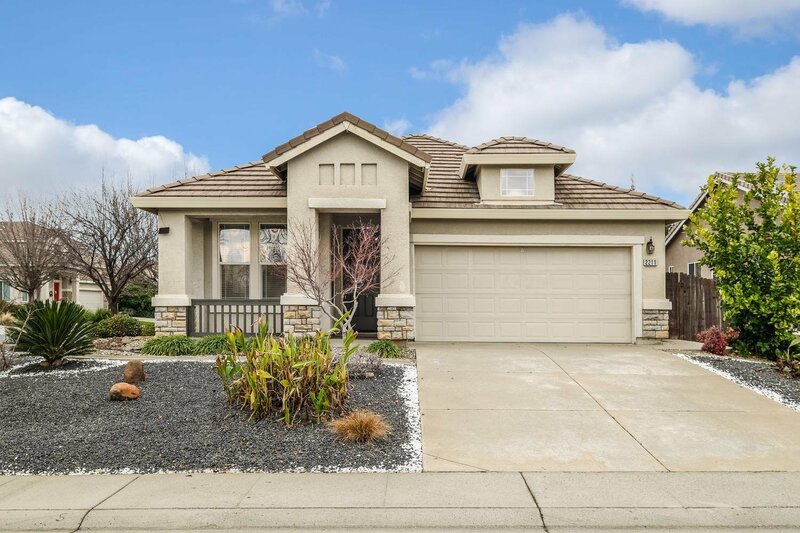 Great Rocklin schools and parks nearby, and close proximity to shops and restaurants! Listing courtesy of Mckiernan Realty. Selling Office: Coldwell Banker Residential Brokerage.